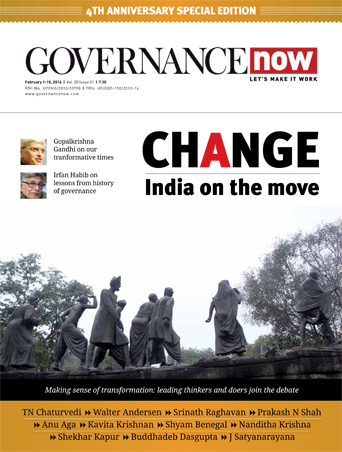 Even as the railways minister Piyush Goyal lays thrust on the 100 percent electrification of entire rail network by 2022, the task cut out for the railways seems to be a strenuous one as it comes with multifarious challenges. 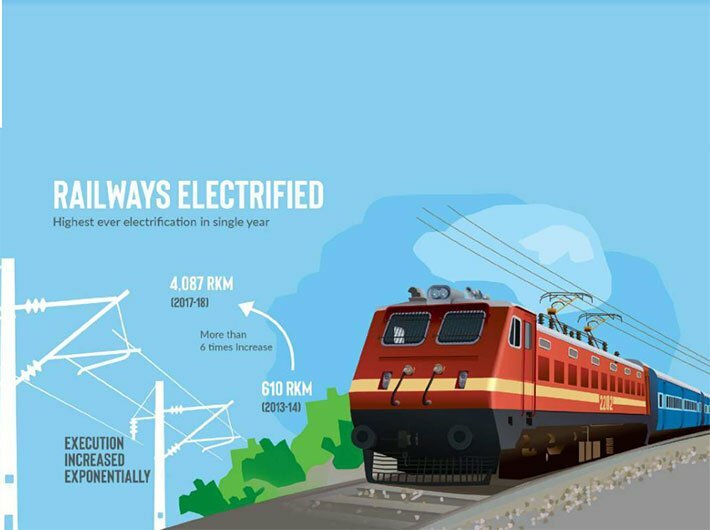 Indian Railways has said that it would electrify 38,000 route kilometres (rkms) within four years by 2022, which includes a daunting target of 6,000 rkms of electrification in 2018-19, 7,000 rkms in 2019-20, 10,500 rkms in 2020-21 and 10,500 rkms in 2021-22. For electrifying 38,000 rkms of network, the railways need around Rs 33,000 crore and considering the poor show of the national transporter in terms of earnings, getting the requisite funds from the centre appears to be tough. The railways have been struggling to increase its earnings and raise funds from the private players by monetising land and important assets. The transporter’s main earning comes from the freight whereas it often finds it difficult to raise passengers segment earnings. Central Organisation for Railway Electrification (CORE), an arm of Indian Railways which executes electrification work, says that electrification is a specialised nature of work. The surge in the target of electrification needs judicious and optimal manpower and also thrust on increased productivity of existing man power, it said. Though, a lot of major tenders have been issued to entrust private players with the electrification works, massive other big contracts are yet to be finalised by the transporter. If newspaper reports are to be believed, the prime minister’s office (PMO) has cautioned the railways to go slow and instead of emphasising on 100 percent electrification, it should opt for optimal electrification strategy. One of the major challenges involves conversion of diesel locomotives into electric ones. Currently, the Indian Railways has 6,100 diesel engines or locos across the country. The technology to equip diesel locos with electric mechanism is expensive and it would take several months to transform over 6,000-6,500 diesel locos into electric ones. There are around 5,600 electric engines in the Indian Railways. The railways say that it would save 2.83 billion litres of fuel per annum if 100 percent routes are electrified, which translates to a saving of around Rs 13,500 crore in fuel bills. The proposed electrification will help the railways have last mile connectivity and increase its operational efficiency, enhance line capacity and improve average speed of trains. India had committed in COP21 that by totally shifting to electric traction, Indian Railways will cut down CO2 by 24 percent by 2027-28. The railways aims to reduce locomotive maintenance costs as well. The maintenance cost of electric loco is Rs 16.45 per thousand GTKM (gross tonne per kilometres) compared to diesel engines maintenance cost, which is Rs 32.84 per thousand GTKM. The prospect of saving money by reducing dependence on the fossil fuel seems to be interesting but it requires massive and sincere efforts to ensure timely execution of electrification.